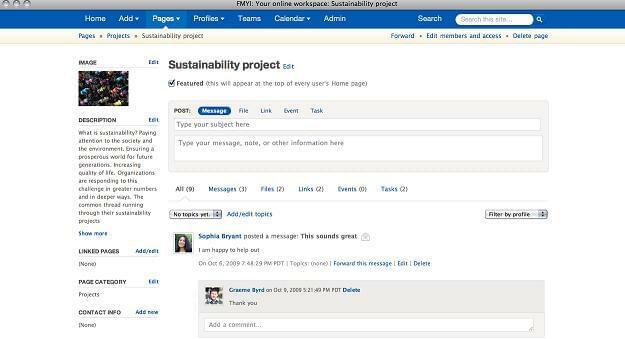 FMYI was founded in 2004 and since then has been working on creating new developments in social collaboration software. FMYI is one of the most trusted names in web-based project management software, and is being used by large brands such as HBO, Macy’s and the Walt Disney Company. All of these companies need reliable software to keep their tasks and projects well tracked and on a streamlined path toward completion. FMYI even provides a free start up consultation to maximize your experience to those unfamiliar with the process. FMYI’s web-based project management software can manage your workflow with an all-in-one service center that tracks specialized contacts, shares files between different workers and provides tools to set up each project for success. Their project management software is easy to use and accommodates mobile access. With the ability to customize your own background, you can remind workers of each client’s primary goals. Their software also leverages your online social presence. The social network accounts are easy to access and allow profile pages and team pages to exist together. There is special access control to customize between internal and external employees. This web-based management software allows you to customize your tasks in an easily understood manner and includes free customer service to help you get the most out of your new online tools. Learn everything you need to know about FMYI. Our experts will reach out to you shortly.